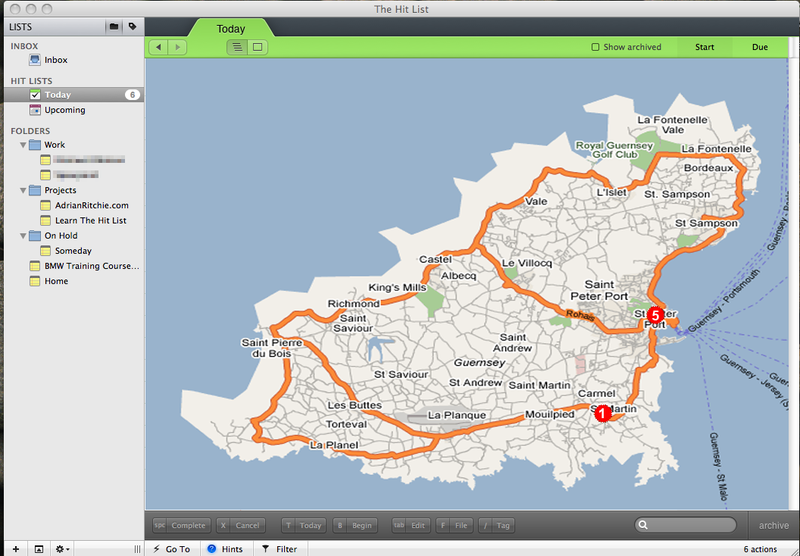 I’ve just been playing with Google Maps for Guernsey again and I’ve noticed a few discrepancies. Firstly, Google doesn’t seem to have any information regarding one-way roads in Guernsey. This means that although the driving directions will give you the shortest route, the route may take you the wrong way down a one way road. This is quite significant around St Peter Port where the roads are narrow and twisting and, if you’re not familiar with it, not being able to follow directions can get you hopelessly lost. Strangely, Yahoo Maps has got both the missing road and the one-way information. Yahoo it seems is using Navteq sourced data whereas Google is using data from Tele Atlas. I’ve just submitted the information to Tele Atlas about the missing road, but I’m damned if I’m going to submit all the missing roads corrections.